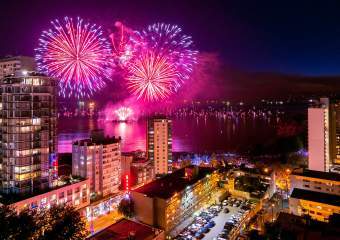 Over the course of 2018, these 33 events will bring over 100,000 out-of-town delegates to Vancouver where they will inject money into the local economy through hotel stays, dining, attractions visits, shopping, transit and more. 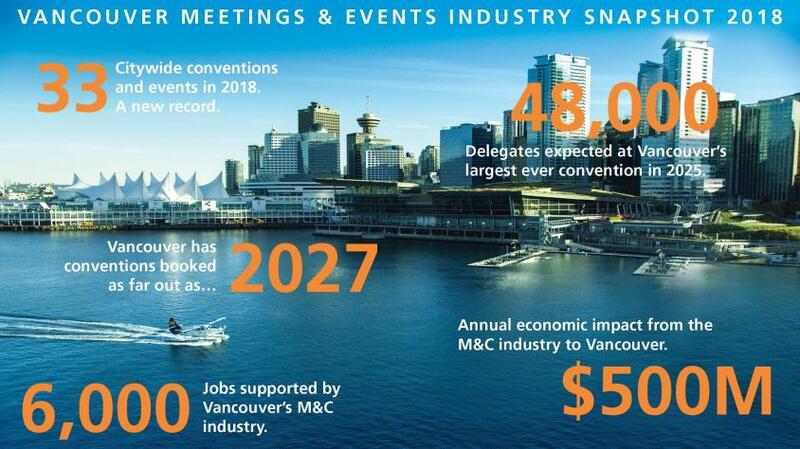 In total, Vancouver’s meetings and conventions industry supports more than 6,000 jobs and results in over $300 million annually in director visitor spending and $500 million in economic impact for the Vancouver economy. 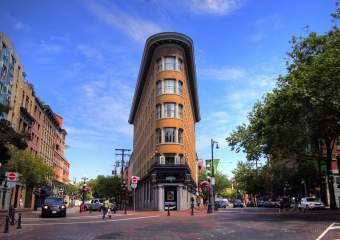 Vancouver companies and organizations also benefit as it gives them the opportunity to connect with their worldwide industry peers, and puts their companies, and their fields, in a national or international arena. 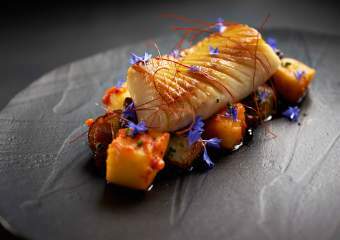 The tourism industry defines a “citywide” as a convention or event that will attract 1,000 or more out-of-town attendees, uses the Vancouver Convention Centre, and at least three downtown convention hotels. In 2017, Vancouver welcomed 28 citywides, which brought 63,000 visitors to the city. 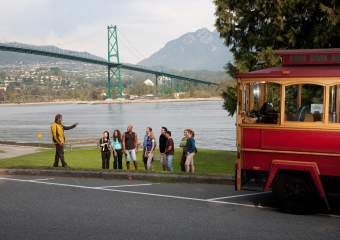 Tourism Vancouver, the Vancouver Convention Centre and other partners work together to market, and sell, Vancouver as a meeting, convention and event destination. 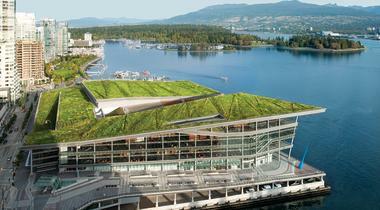 The strong showing in 2018 is in part driven by an influx of nature and sustainability-themed conferences taking place at the award-winning Vancouver Convention Centre, the world’s first double LEED Platinum convention centre. Vancouver will welcome GLOBE in March (estimated 3,900 out-of-town attendees and 10,000 total), Sustainable Brands in June (estimated 2,000 out-of-town/total attendees), the American Society of Animal Science in July (estimated 4,500 out-of-town attendees and 5,000 total), the International Ornithological Congress in August (estimated 1,800 out-of-town/total attendees), and the Entomological Society of America in November (estimated 2,000 out-of-town/total attendees). 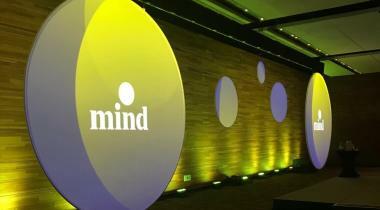 Other high-profile convention groups meeting in Vancouver in 2018 include the American Bar Association in February (estimated 4,000 out-of-town/total attendees); the TED Conference, celebrating it’s 5th anniversary in Vancouver in April (estimated 1,800 out-of-town/total attendees); and SIGGRAPH, returning to Vancouver for the 3rd time in August (estimated 13,000 out-of-town attendees and 14,000 total). Among the citywide events are the 2018 Canadian Tire National Skating Championships which just wrapped up in January (estimated 3,500 out-of-town attendees), HSBC Canada Sevens - World Rugby Sevens Series at BC Place in March (estimated 3,230 out-of-town attendees), and the internationally recognized BMO Vancouver Marathon in May (estimated 5,000 out-of-town attendees). Vancouver is currently booking conventions as far away as 2027, and beyond. 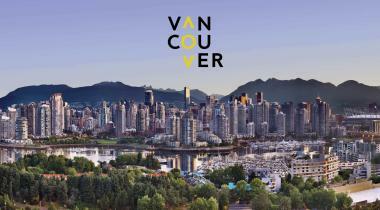 To view the full list upcoming citywide conventions, visit www.tourismvancouver.com/meetings/citywide-meetings. 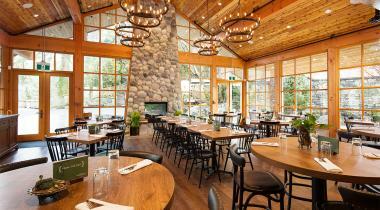 Why is Vancouver such a natural choice for international meetings? 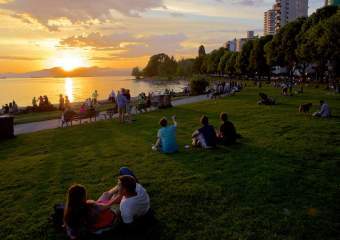 Tourism Vancouver President and CEO, Ty Speer, has the answer.